I wasted this story on a mere Friday the 13th back in June, so I'm going to repost, because it's so appropriate for Halloween! Fort Delaware has a ghost tour around Halloween time. Very fitting and appropriately spooky, and you get to explore the fort with a little more freedom than during the regular season. I was all for it! For the record, I don't believe in ghosts, or much of anything really, but I like anything mystical all the more maybe because I don't actually believe there's anything to be afraid of. So I was expecting a light-hearted evening of people drinking and goofing off. Turns out, not only did the hosts of the tour believe in the spirit world, but my companions did as well. So the goofing off was not to be, for fear of offending someone, and light-heartedness was lacking. However, it was somewhat intriguing to find out what "scientific equipment" the ghost seekers intended to use and what, if any, proofs would be provided that evening. The next room was less interesting. They had some kind of radio to pick up a specific frequency that they believed ghosts could interact with. Supposedly, strange sounds were often heard on this frequency. The particular night we went there wasn't much activity and so we heard only static. At some point I lost interest in the radio static and took the time to explore in the dark. There were a few lights, but Fort Delaware has a couple of these cool little chamber that spiral inwards. I managed to follow one blindly until I was alone in a tiny room (probably a dungeon) in the pitch dark. I considered suggesting hide and seek, but our tour guide probably wouldn't have appreciated it (we were supposed to stay close). The final exhibit was a room higher up on the wall. They explained that an officer had lived there with his wife and daughter and they thought it was the ghost of the child. For whatever reason, the instrument of choice here was dowsing rods. I know, I know, those are for finding water, but I wasn't the one picking the tools of the supernatural here. This room was bigger and so we packed 20 - 25 people in the near dark, all sitting in a circle and staring at those rods expectantly. It began to seem like one might be moving just a tad, and the excitement was almost palpable. At this moment, we began to hear a bizarre, high-pitched yowling sound. People began to look around nervously and someone excitedly said, "What is that?" Different shadowy figure, "It sounds like a dying cat." Woman nearest the dowsing rods, "I think it's just someone's stomach." 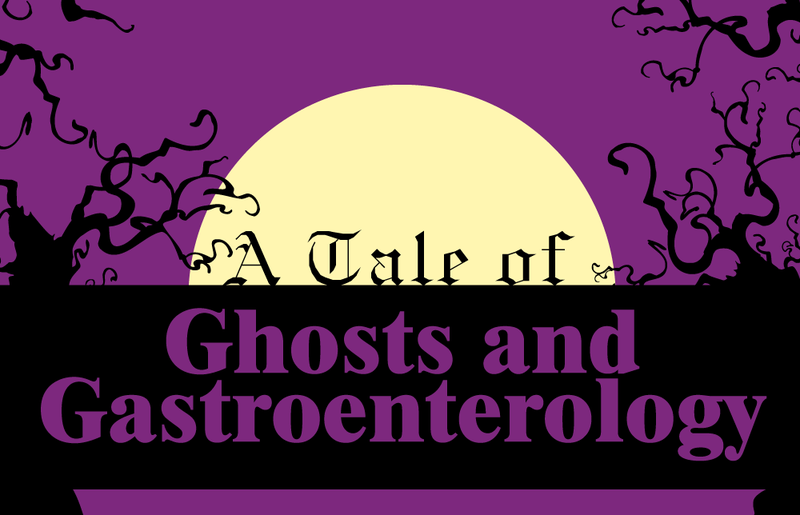 And so our tour was completed, and it was entirely possible that the most persuasive thing of all, to the more delicate stomached, was my never-claimed gastroenterological liveliness. That's right. I never admitted it was me. What are your spooky or embarrassing Halloween stories? Do you believe in ghosts, and why?